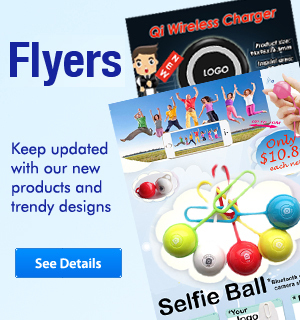 EasySources has been a leading supplier in Custom Promotional USB industry for more than 26 years. We provide on-time delivery of Promotional USB with Custom Logo. We always use Tier 1/Grade A memory chips for our USB products. Most of the USBs are able to contain memory size from 1GB to 64GB. Other than traditional decoration methods as imprint or laser engraving, we also provide full color process, oxidization and other technology to brand your logo with your custom needs. Need products in different locations? No problem. Our logistics team work efficiently and ship worldwide with express shipping service. We value our clients and we believe that "a customer is more important than an order!"